Collins Booksellers - Dog by Susan McHugh, 9781861894885. Buy this book online. Dogs are perhaps our most popular pets, and certainly one of the best-loved of all animals. They are not only humanity’s best friend, they are also its oldest: burial sites dating back 12,000 years indicate that dogs moved alongside prehistoric peoples before, during and after both species settled the world. 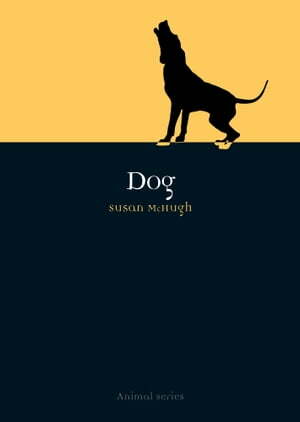 The story of the canine has been fundamentally entwined with that of humanity since the earliest times, and this ancient and fascinating story is told in Susan McHugh’s Dog. This book unravels the debate about whether dogs are descended from wolves, and moves on to deal with canines in mythology, religion and health, dog cults in ancient and medieval civilizations as disparate as Alaska, Greece, Peru and Persia, and traces correspondences between the histories of dogs in the Far East, Europe, Africa and the Americas. Dog also examines the relatively recent phenomenon of dog breeding and the invention of species, as well as the canine’s role in science fact and fiction; from Laika, the first astronaut, and Pavlov’s famous conditioned dogs, through to science fiction novels and cult films such as A Boy and his Dog. Susan McHugh shows how dogs today contribute to human lives in a huge number of ways, not only as pets and guide dogs but also as sources of food in Asia, entertainment workers, and scientific and religious objects. Dog reveals how we have shaped these animals over the millennia, and in turn, how dogs have shaped us.